This program is closed. Please contact the faculty director for more information. On-Line Application – Apply Now! Study international construction and engineering project management in one of the most dynamic, multicultural cities in the world: Dubai. 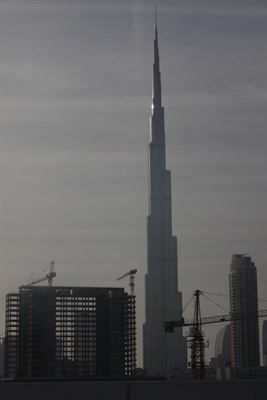 Dubai is known for rapid growth and incredible development ambition. It is home to the world’s tallest building (Burj Khalifa), the world’s largest Mall (Dubai Mall), the Palm Islands, and numerous other noteworthy developments. The country continues rapid development and students will have the opportunity to visit and explore active construction projects while studying the differences between US construction activity and international practices. Students will also study engineering project management and evaluate different philosophies for project delivery in a multicultural climate while also enjoying the sites and culture of the United Arab Emirates. Students will interact with numerous professionals from diverse cultural backgrounds. Tours will enhance the in-class learning with visits to the Burj Khalifa, Abu Dhabi and neighboring Emirates, Mosques and Churches. Students will explore wadis and experience traditional souqs, dhow cruises, Emirati and Middle Eastern culture and cuisine, and desert safaris. Students will stay in double accommodation in local hotels within the city with convenient access to numerous sites. Breakfast is included daily and lunch/dinner are available depending on the daily schedule. The Program Fee includes housing, all program-related excursions, some meals, and international medical insurance. The Program Fee does NOT include airfare to/from Dubai, nor airport transfers within the U.S. The program officially begins when students arrive in Dubai. Students will receive detailed travel instructions after acceptance, explaining how and where to purchase their plane ticket. See the Cost section below for estimate airfare. ACCESSIBILITY: Participants with disabilities should know that accessibility and accommodation in some program locations may differ from the United States. Transit systems and legacy building construction practices may not meet U.S. accessibility standards, and alternative access to public transportation, buildings, or public sites cannot be guaranteed. But UD students with disabilities are welcome and encouraged to study abroad. Review these questions with the Office of Disability Support Services to determine whether this program can meet your accommodation needs. All students must enroll in at least 6 credits, as well as the 0-credit UNIV course. The purpose of the study abroad is to explore construction and effective engineering project management skills are crucial for overall successful project delivery. This course complements the primary course: CIEG 492 - International Construction well. The purpose of this course is to examine the differences between construction practices in the United States and overseas locales. The course examines differences in business practices, law and regulations, dispute resolution, labor relations and multicultural contexts. The course must be delivered abroad to effectively expose students to such differences through hands-on exposure. The course is planned for Dubai and will also address differences in other cultures, such as China. Students are asked to reflect upon changes in their knowledge, skills, and attitudes that occur due to their study abroad experience. Applicants should have a G.P.A. of at least 2.0 (on a 4.00 scale). Meeting these minimum requirements does not guarantee acceptance, which is based on academic quality and demonstrated ability to contribute to the objectives of the program. Early application is encouraged. For all participants, a formal application is necessary, including at least one recommendation. An interview may be conducted in person or by telephone. A transcript is required from Non-UD applicants only. Non-UD students, please send a copy of your official transcript to: IGS, Clayton Hall, 100 David Hollowell Drive, Newark, DE 19716 USA. Study abroad at the University of Delaware is highly competitive. Please review the study abroad acceptance process. If you are not selected for your first choice program, we encourage you to apply to another program. Usually covers: housing, all program-related excursions and some meals (check with the program's faculty director for details). Does NOT cover: airfare to/from the program site and ground transportation to/from the U.S. departure airport. For planning purposes only, we estimate roundtrip airfare to be approximately $1,500.00. Plan ahead for how to pay for travel study, and make sure you understand the costs associated with your program. If you are offered acceptance to the program, you will have 3 days to withdraw without financial penalty. After the 3 days have passed, you will be officially accepted to the program, and IGS will post the full Program Fee and Tuition/Fees to your UD student account. An initial payment of $1000.00 will be due in mid-May. The balance of the Program Fee and Tuition/Fees will be due in early January. Payments are submitted through My Finances in UDSIS. All charges, once posted to your account, are considered non-refundable. Program Fees are subject to change until the group's departure date. Final Program Fees may increase due to unforeseen local cost increases, fluctuations in exchange rates, or changes in the group size. IGS reserves the right to cancel a program at any time due to under-enrollment, safety/health/security issues, staffing issues, or any other relevant reason. If your program is cancelled, you will receive a full refund of all Program Fees paid. The rates above may not apply to you if you are a UD graduate student during the time you are studying abroad. Please refer to http://www1.udel.edu/finaid/rates.html for the appropriate rates. The University of Delaware’s differential charge for Engineering, Nursing and Business & Economics students https://provost.udel.edu/differential-charge/ does not apply to winter or summer session and is waived for students enrolled in semester- or year-long study abroad and exchange programs sponsored by the University.  Financial need-based scholarships are available to UD undergraduates on a competitive basis. To be considered, students must have a current FAFSA on-file with Student Financial Services. For more details, please see our scholarships page. All charges, once posted to your account, are considered non-refundable. Payments are submitted through My Finances in UDSIS. *All students will receive an email when they are accepted to a program and will have 10 days from that notification to make their $1,000.00 Initial Payment. Program information is subject to change at any time. Please check this web site periodically for updates.